China shotcrete machine is divided into dry mix shotcrete machine and wet mix shotcrete machine according to the different construction technology. Gaode shotcrete machine has formed his own features over the years, through technical improvement and product updates. We supply shotcrete machine for foreign customers, and get the best feedback from them. 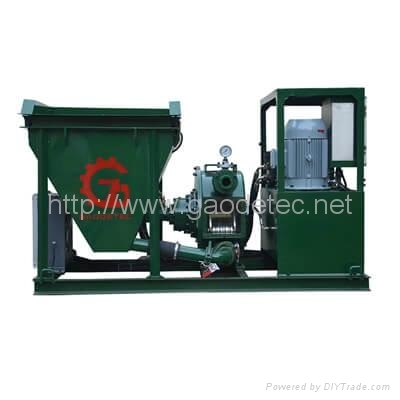 For dry mix shotcrete machine, we have GZ-3, GZ-5 and GZ-9 dry mix shotcrete for your option. The output is from 1.5m3/h to 9 m3/h. For wet mix shotcrete machine, we have GSZ3000, GPS-7 GDS1500 shotcrete pump and shotcrete machine system for your option, the output is from 1.5m3/h to 30m3/h. Gaodetec product has the advantage of high quality and competitive price and excellent after-sale service. Through unremitting efforts, gold card will become the biggest supplier of shotcrete machine from China.